HIGH The art is elegantly amazing. LOW It runs out of steam way too fast. WTF Why are there so many locked doors? HIGH The dozens of references to games and gaming culture. LOW Not many incentives to seek out collectables. WTF The dead wanderer from Journey on the mountaintop. Chris McQuinn talks of his studio's latest game in simple terms. 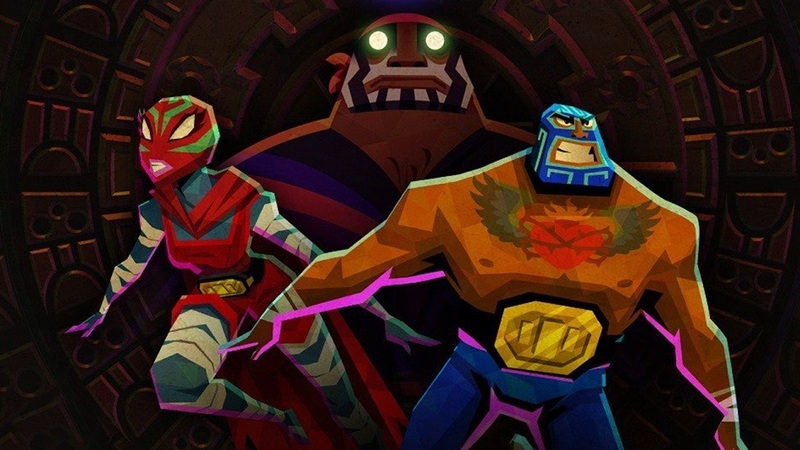 "At a high level, Guacamelee is a platform brawler that's in a Metroidvania world. Oh, and also, it's Mexican themed. It's based in an imaginary land within Mexico. We borrow a lot of style, culture, and folklore references that we've put into the game. Have you played before? There's co-op…"
HIGH Super-tight combat and platforming. LOW Trying to correctly identify the chicken thief. WTF Why isn't Tostada available at the beginning? The PlayStation Vita is officially upon us, and I've only one major complaint about it so far: I ain't got one. Luckily, I was made doubly fortunate last week by Toronto's own DrinkBox Studios, who not only managed to stave off my hunger for said portable console by putting one in my hands for an extended period, but also showed me their fine new platformer, Tales from Space: Mutant Blobs Attack!